The procedure is simple. The user has to make an account where they will get the WhatsApp messages. Just share little information with TheTruthSpy and enjoy the unlimited benefits. TheTruthSpy will never share your valuable information with other parties and securely give you all the vital details fetched from the device. The policy of any spy app is precious for its users. Hence the truth spy offers a customer friendly policy for its user. Read the policy carefully with caution to spy WhatsApp secretly. Satisfaction is the priority of this application and therefore, it continuously work to add the beneficial feature in it and update the app regularly. download phone tracker for windows 10. Keep yourself away from the worries and let the truth spy perform the tough job of spying on WhatsApp. If you are thinking about the information you are going to get from the account of target person then here are we to let you know it. 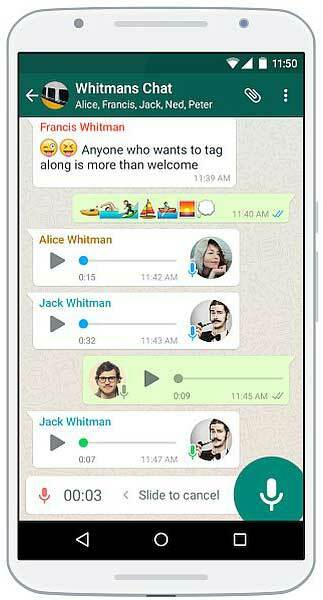 As everyone knows that WhatsApp is a messaging app that got updated recently. Its blue tick feature that let you know that your sent message is being read is not enough. The status window is again the exciting feature that WhatsApp has introduced. Part 1: How to spy on whatsapp messages without target phone? So, let see the extent to which you can spy on WhatsApp. Read the messages similarly you read the text message. Track the older messages over WhatsApp. If want, then save them as well. You can even send the words from the victim side. Track status — if you are not in the contact list of the victim then you will not be able to see his WhatsApp status. Truth spy gives you that ability as well. Even if you are not the WhatsApp user then also you can see the live status of him. Track WhatsApp call — using WhatsApp one can make the voice and video call. Listen to their live WhatsApp call and if want, record them. Know the exact time of call with the duration of a call. You will even get the contact number of the person with whom your target talks every day on WhatsApp. Track multimedia files — just like other apps WhatsApp also allows sharing of pictures, gifs, videos, etc. Reason to protect could be many like to ignore others. But with truth spy, you can even see the last seen of the user. Therefore, all your problems are solved by truth spy. Monitoring the social media platform is of very much importance as social crime are rising, your kids may be trapped in any illegal activity, or any unknown person may hack their WhatsApp account and misuse their information. The craze of posting status and stories on social media is another concern of parents. Teen kids may post anything without thinking much, and another adult user on WhatsApp can misuse their details. They might have made contact with an unknown person and without your awareness they might be chatting till late night. Whatsapp spy can be a great help in case they face some trouble in future. Monitoring employees is another advantage that you will get on using TheTruthSpy. Spying on messages, in fact, is very simple. Once logged in, it remains connected until you log out. So, just return the phone and leave the PC turned on perhaps with the Google Chrome window minimized to avoid being caught. After that moment, every conversation will be displayed on your PC. This technique is illegal, and it is shown here for informational purposes only. To protect yourself, we recommend not give your phone to others people. Mspy is one of the leading companies that are now selling spy software and apps for Androids , iPhone , and Windows phone. The application also offers the chance to get the real time map position by using built-in GPS system of the phones victim meaning you can see their exact location at all times. The Mspy application is easy to download and install. Even if you are not tech savvy you will still be able to run this program that is how simple it is. The MSPY application has proved to be very effective and the customer support that others have actually received has also received high marks from users. Mspy is very simple to use and install. You will also be able to access their phone information from your computer also. Once you have installed the spyware, you will be able to access more private information of the victim from your computer or mobile phone anywhere. Generally, the law requires you to notify the owner of the device that you are trying to monitor. How to spy on WhatsApp messages with the technique of Mac Spoofing This free method to spy on conversations has certain steps that can appear complex. Our phone on which we have installed WhatsApp. Messaging apps are useful, but they have negative aspects as well. Everyone should be aware of such aspect that includes: Cyber bullying, stealing of personal details like images, contacts, and others. However, monitoring of such apps is easy now. Monitoring can help the users in ways like they can prevent their kids from any such harmful activities that were mentioned above. Everything has two faces, just like this WhatsApp can be used for the good or bad purpose. Hence, spying becomes essential in the case user is performing any malicious activity via this app. Controlling your kids Whatsapp is now secure with spy apps like guestspy. Guest spy is software for monitoring purpose of a mobile phone user. The software is capable of monitoring every application that user has installed on the mobile phone. Monitoring a mobile means the offering the complete list of activities that the user is performing on the smartphone. It comes with different features that we will discuss in brief later on. The guest spy app can do the job of spying efficiently just like a normal spy agent would do but in the smart ways. It has ample of features and functions that make it far better than any other spy app. In the world of spying app, the guest spy software is at the top. The developers have designed and encoded programs that work smoothly and quickly to give the accurate results. Everyone knows that the application has to be downloaded on the mobile. You cannot use the app without downloading it on the device. There is the store that provides applications of different types for different purposes. Here store is not like a physical store; we are talking about an online store. Every device has a mobile store. If you are an Apple iPhone user, then you can access the app store. The user of android phones can access the google play store. Depending on the platform the user use, a play store is available. So, the first thing is to know your device platform. Then go to the online store and search for the guest spy application. The device must have WI-FI or an internet connection to access the internet. The device must allow the installation of the non-market apps. If the device does not permit to install such apps on mobile, then change the settings. Go to settings, go to security and then check whether the device is set for the installation from unknown sources or not. If not then change the settings. Open the notification window to complete installation when the app has downloaded on the device. A registration window will open up, click on register to start registering on the control panel of the guest spy. Already users are not supposed to make a second account. They can log in to the panel using their ID and password. The device will be asked to permit to access the other apps on the mobile. Once you give permissions, the guest spy will start installing on its own. The installation process is complete, and now you can spy WhatsApp anytime. The target device may be rooted, in that case, accepts the superuser to permit to spy Whatsapp messages. Guest spy app needs to be hidden so that nobody can see it and you can use it freely. To hide tap on hiding icon button from the configuration. To completely erase all the traces of download, clear the browser history and file from the download folder. Lots of data will go wasted, and hence features are something that you must be aware of before installing any app on your device.